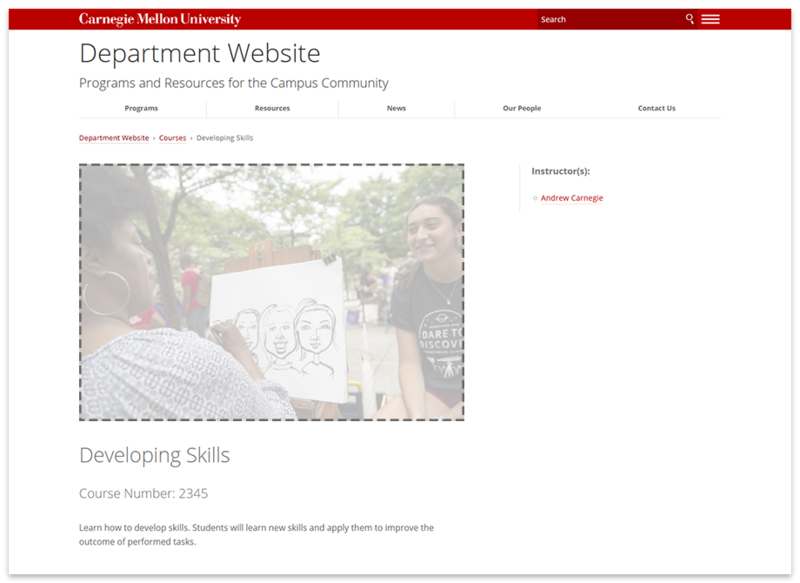 A Course page provides course information such as description, semester, instructor and learning objectives. Course pages work in conjunction with Course Index pages to provide a directory listing of courses. 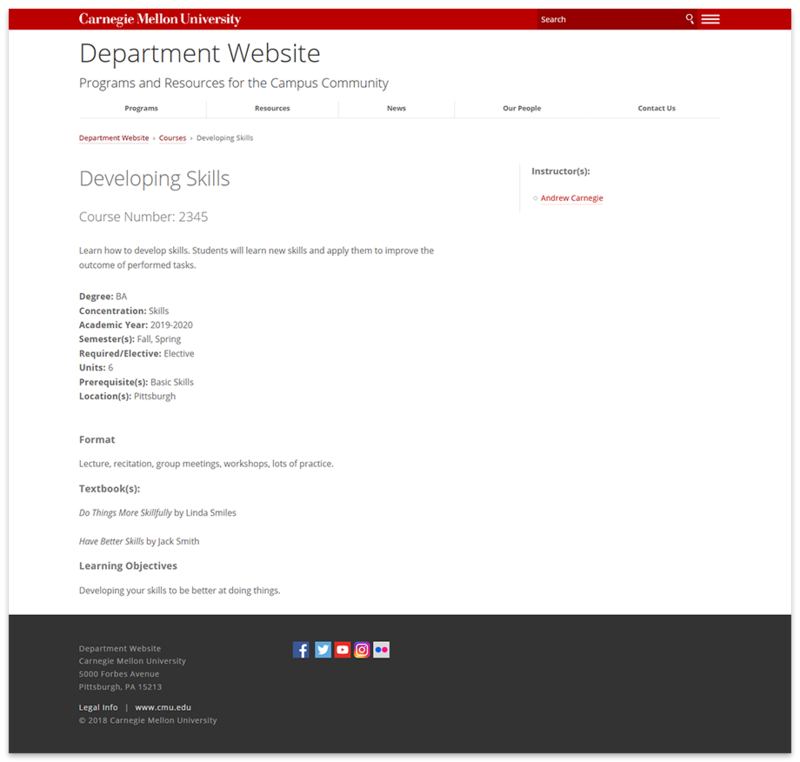 Example of a Course page. 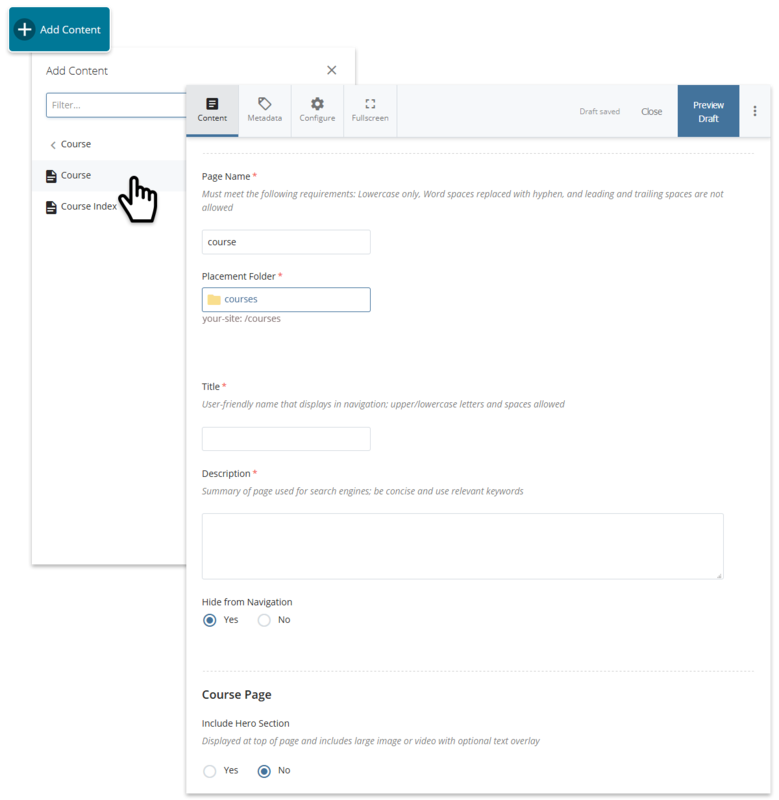 Ideally, Course pages should be contained within a designated courses section on your site; if you're starting from scratch, first create a folder for your course section. Creating a new Course page. An image can be displayed on the Course page. Example of image on page. Note: Degree and Concentration shown in the example are specified in Page Categories; see next section. 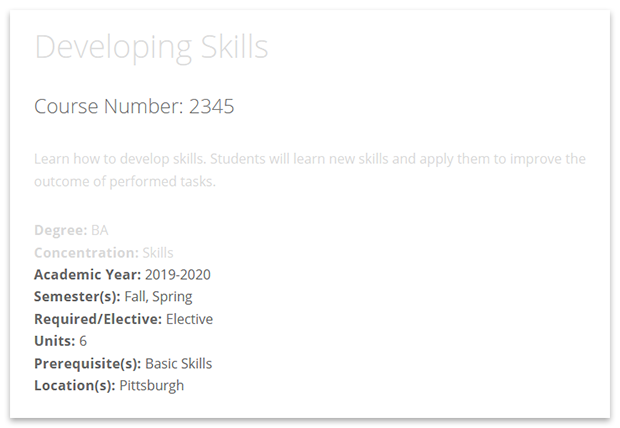 Example of course info on page. 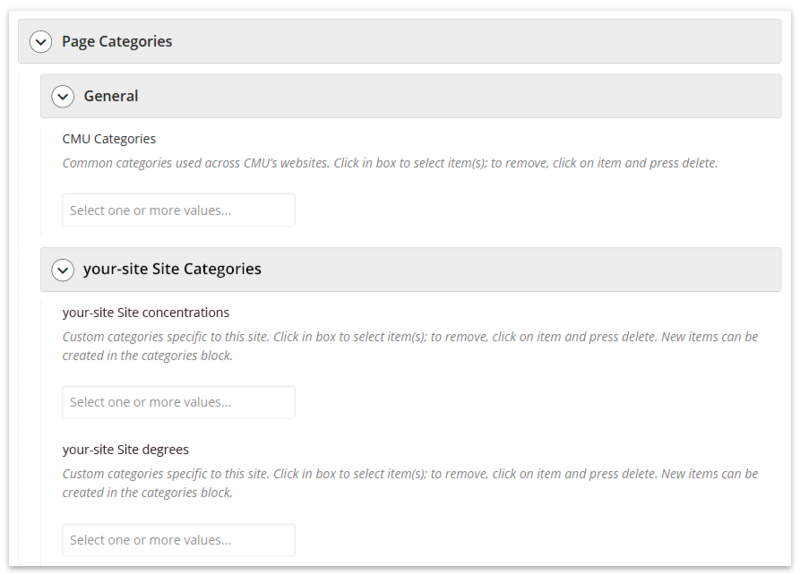 Categories allow filtering on Course Index pages. Specify what categories the Course page should be tagged with (new categories can be created in the categories block; more on categories). Click in each box to select one or more categories; to remove a category from being selected, click on it and press delete. WYSIWYGs are provided for Long Description, Format, Textbook(s) and Learning Objectives. Use any or all of these fields to provide additional information as needed. Note: With the exception of Long Description, the open text fields will display its respective heading, such as Format. 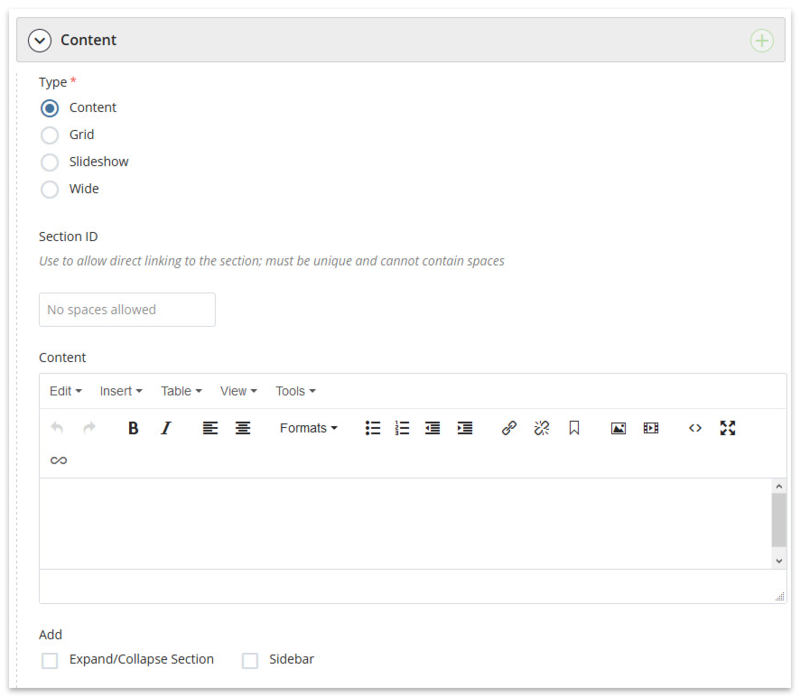 To include other topics not covered here, use the additional content area provided at the bottom and select content type Content to add another WYSIWYG. Example of open text fields on page. 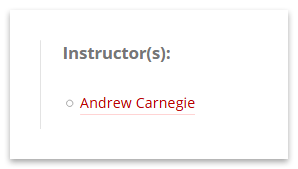 Instructor information is provided in a sidebar. If providing a link, specify whether the link should Open in New Window (recommended for external sites or documents such as a PDF). 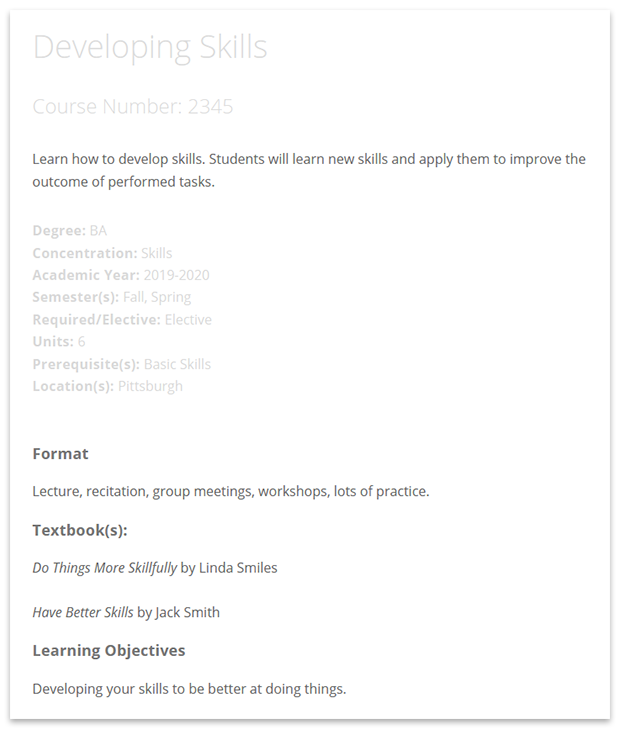 Example of instructor in a sidebar. Include a standard content area at the bottom of the page to enhance it with any of the content types (WYSIWYG, grid, slideshow, wide). Click + to add another content area.